Does your main bath need more storage to accommodate the entire family? Do you want your master bath to blend both function and style to create your own personal oasis? If you are focusing on bathroom remodeling for a guest room, are you presenting a proper image of your sense of style to your visitors? 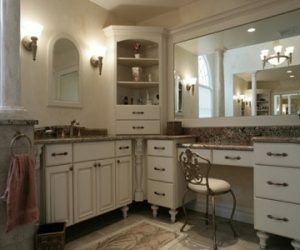 Now is the time to take inventory of all your bathroom remodeling wants and needs. When you visit our bathroom design showroom, we can help you find just the right look for your new bathroom and let you choose from the many options available in tile, vanities, bathroom countertops, plumbing fixtures, faucets, and more. 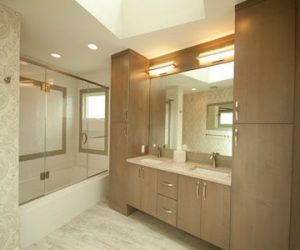 Alure has designed and completed hundreds of bathroom remodels each year throughout Long Island and the surrounding areas. Contact us for a free consultation to get started today! 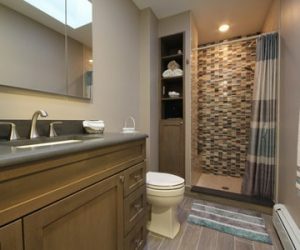 Some homeowners appreciate the space and layout that already exists in their current bath, but desire more storage or a modern look that will better suit their needs and also enhance their Long Island, NY, home’s overall re-sale value. Other times, the bathroom that needs the renovation is the only bathroom in the home. 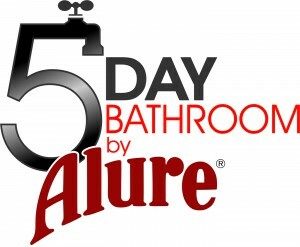 That’s why Alure Home Improvements has introduced our EXTREME 5-Day Bathroom program. 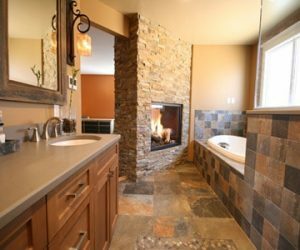 This unique bathroom remodeling service limits interruption in your daily routine and allows you to dramatically transform your bathroom in less time than you likely thought possible. This bathroom remodel is designed to be extremely quick and easy on you, greatly limiting any interruption in your daily routine. Our bathroom remodelers will work closely with you to identify ways that we can improve your bathroom by taking better advantage of the existing space. When we’re done, your new bathroom will leave you breathless and the entire project will have been completed in a week – what could be better? Many homeowners in the greater Long Island, New York area have big plans for their bathroom and need to speak to an experienced bathroom contractor who can handle jobs of any size and scope. Does the bathroom need to be expanded? 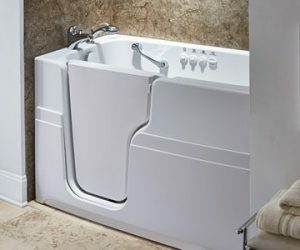 Is it time for that hall closet to be integrated into the family bath? Alure Home Improvements is a full-service home remodeling company that is equipped to handle bathroom remodels of nearly any size. 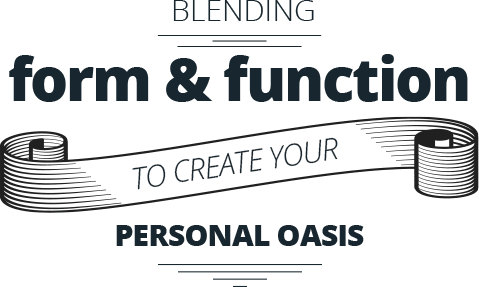 Let our creativity help design the oasis you’ve always wanted! The options are as limitless as your imagination. And we handle the entire project from design, planning, installation, service, permits, and more. Our custom bathroom remodeling service allows you to create the bathroom that you’ve always wanted. We can knock down walls, move fixtures, reroute plumbing, and install all of the design elements you desire. 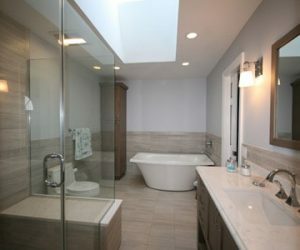 We have extensive experience designing gorgeous custom bathrooms for countless homes in and around Long Island, NY, and our bathroom remodelers will be glad to explain your endless options to you.